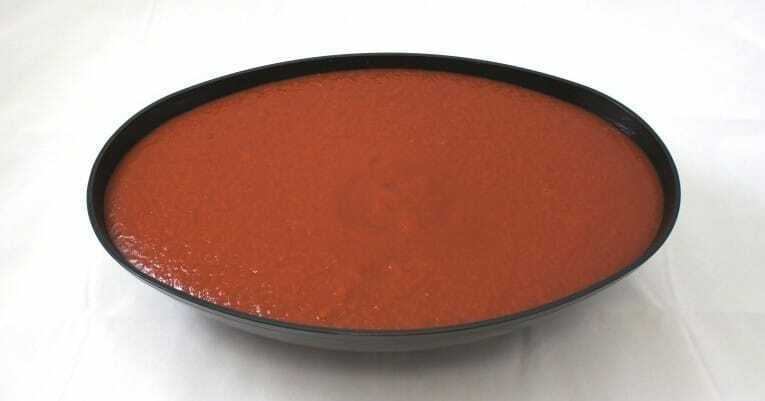 Tomato sauce is made from tomatoes that have been washed and inspected prior to being chopped, strained and evaporated. A special blend of seasonings is added to obtain the characteristics flavor of a moderately spice sauce. The product is hot filled to ensure commercial sterility then cooled prior to stacking. Vine Ripened Tomatoes, Sea Salt, Dehydrated Onions, Dehydrated Garlic, Citric Acid, Spices, Natural Flavorings, Sweet Bell Pepper.